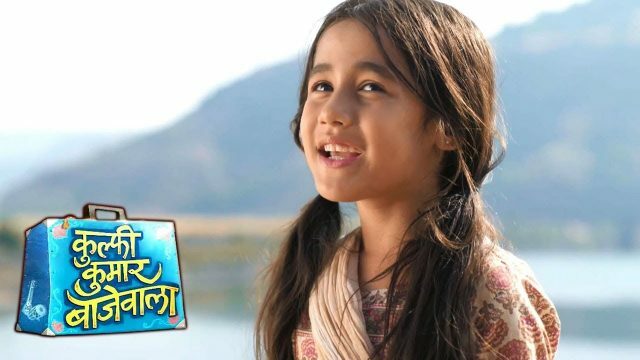 In the latest written episode of Kulfi Kumar Bajewala 13th November 2018, Sikander helps to Kulfi. today’s tv serial starts with kulfi enters the classroom. She tries to make new friends with classmates singing the beautiful song. But no one entertains at her and all leave here, Kulfi wakes up at morning and she realizes that it is just a bad dream. Kulfi asks to Tevar that what will happen in the school today. Tevar said that new books and new notebooks. Tevar gets a call for a meeting. He said that I will come after 2 hours. He said that sir needs to see urgently. Tevar said that I can not have my daughters school.to listen to this Kulfi requests Tevar to go. He calls to Sikander. He with Amyrah was preparing her for school. They pack there books and a new dress. Tevar tells to Sikander his problems. Sikander said don’t worry I will take her along with us. Sikander said that Amyrah comes let’s get going quickly we have to pick Kulfi as well, Lovely asks to her that why is it so. Sikander was replied to her question that her father is too busy and leaves to get Amyarh’s tiffin. Lovely said that did you see the Amyrah how he is rushing you. Your dada was never there for you but still look that how is he available for Kulfi and you still things that you would not have to share your dad with her. Sikander walks in and said to Amyrah that come baby let’s go. Sikander asks a question that Kulfi why is she was so silent. She asks that what happened on the first day. Amyrah replies that he does not know because he was not there for my first day and dad will talk to her later help me revise my lessons.